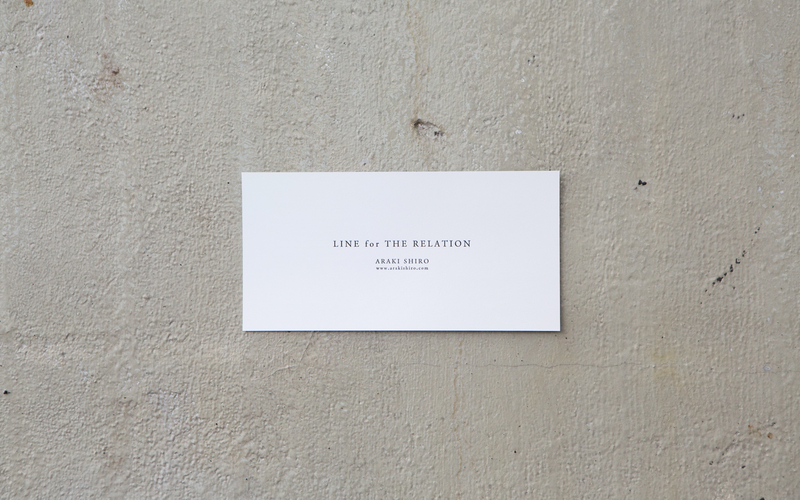 LINE for THE RELATION | CLIENT WORKS | HYS INC. | SEARCH OF THE TRUE ESSENCE OF THINGS. 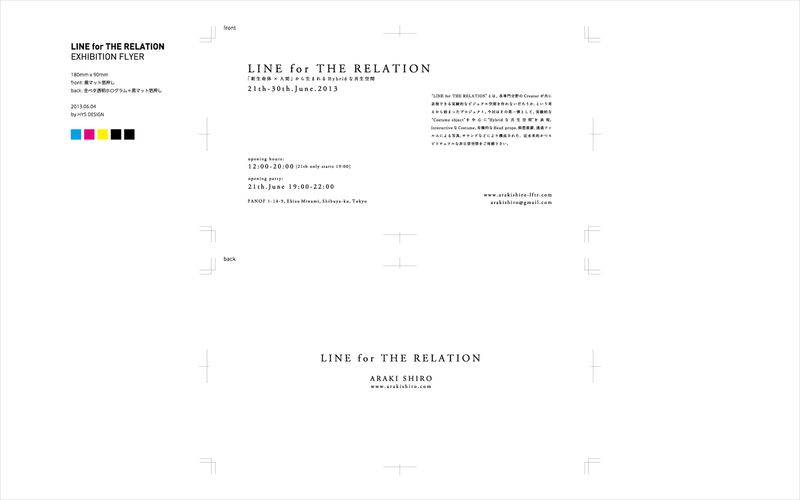 We created the invitation flyer for the LINE for THE RELATION exhibition, presented by Araki Shiro and held in June 2013. 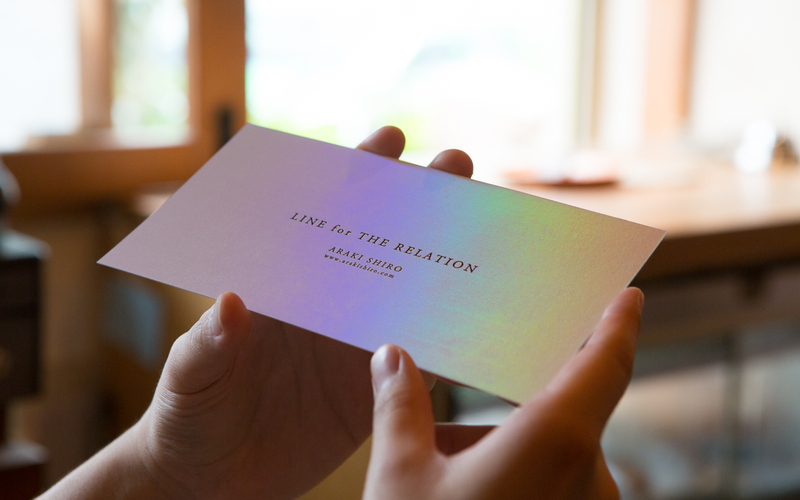 Based on the exhibition keywords "experimental costume objects" and "a hybridized communal space," we used hologram foil on the front for a futuristic polish.